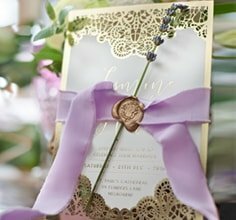 A lovely combination of a classic wedding theme uniting with a touch of fun and personality thanks to the bloom design. 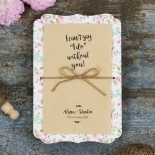 Perfect for an outdoor Spring or Summer wedding. 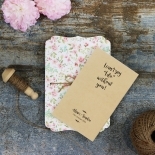 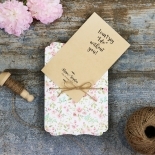 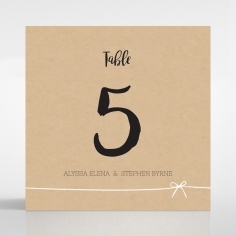 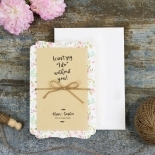 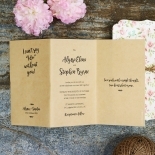 This chic rustic invite comes with stylish craft paper wrapped with a graceful bow-shaped twine. 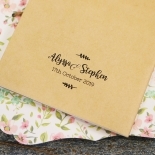 This elegant ensemble is tied together on a charming floral and pastel coloured backing printed on a classic white cardstock. 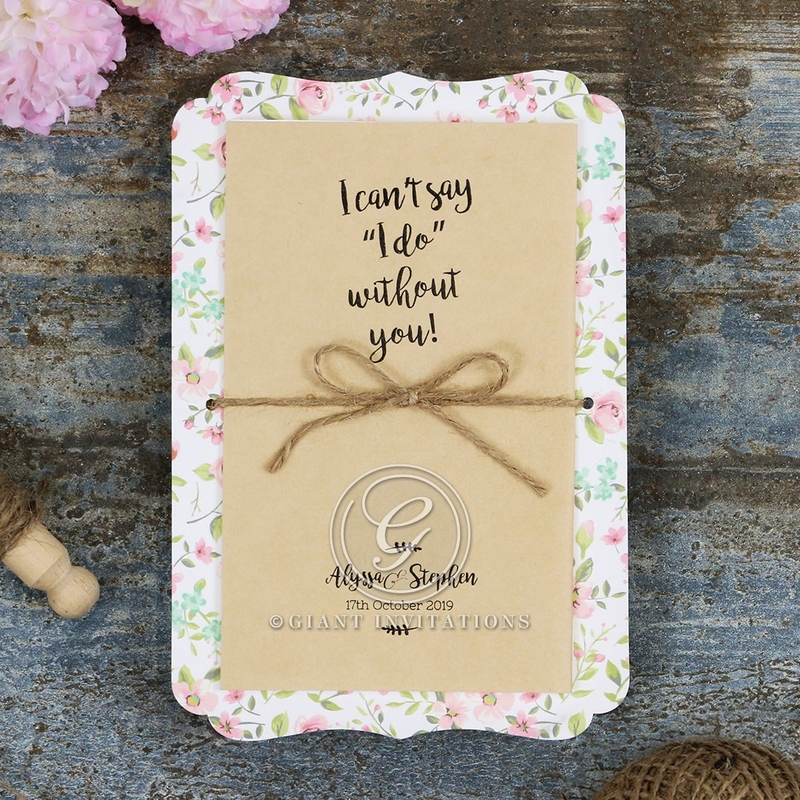 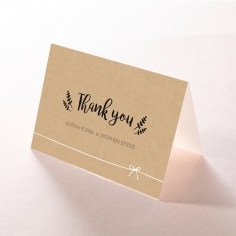 The delicate frame adds a touch of elegance with its beautifully cut edges and is embellished with sweet floral decor surrounding the craft inner card. 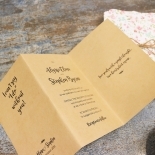 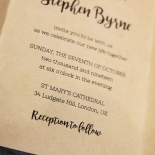 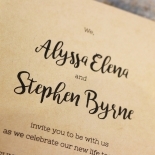 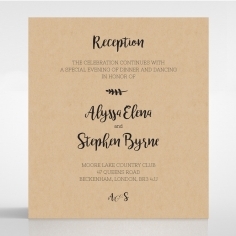 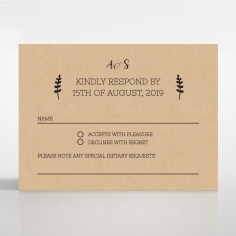 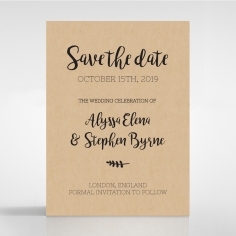 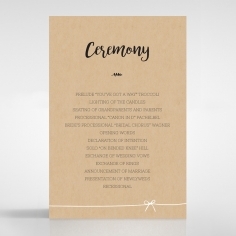 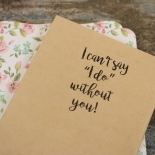 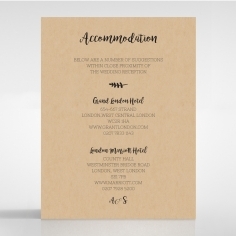 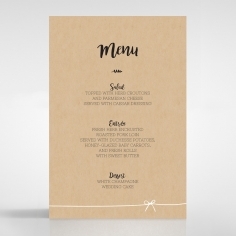 In addition, this invitation allows for customisable calligraphic writing, font and layout. 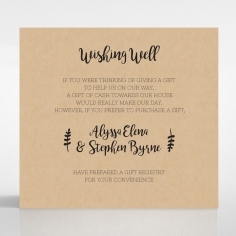 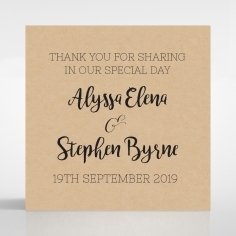 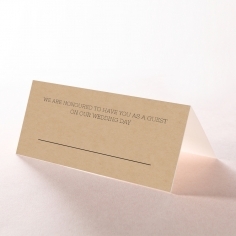 Add a personalised touch by printing your guest's names on the envelopes for a small additional fee.